Show your love and happiness by displaying your favourite pictures in this beautiful photo frame. Ideal for wedding, anniversay, birthday photos. Wall mounted in a 3d wire shaped design, the frame features 6 frames for displaying precious photographs. This make the perfect wedding gift, display those happy memories and gift wrap for the happy couple. Show your love and happiness by displaying your favourite pictures in this beautiful photo frame. Ideal for wedding, anniversay, birthday photos. 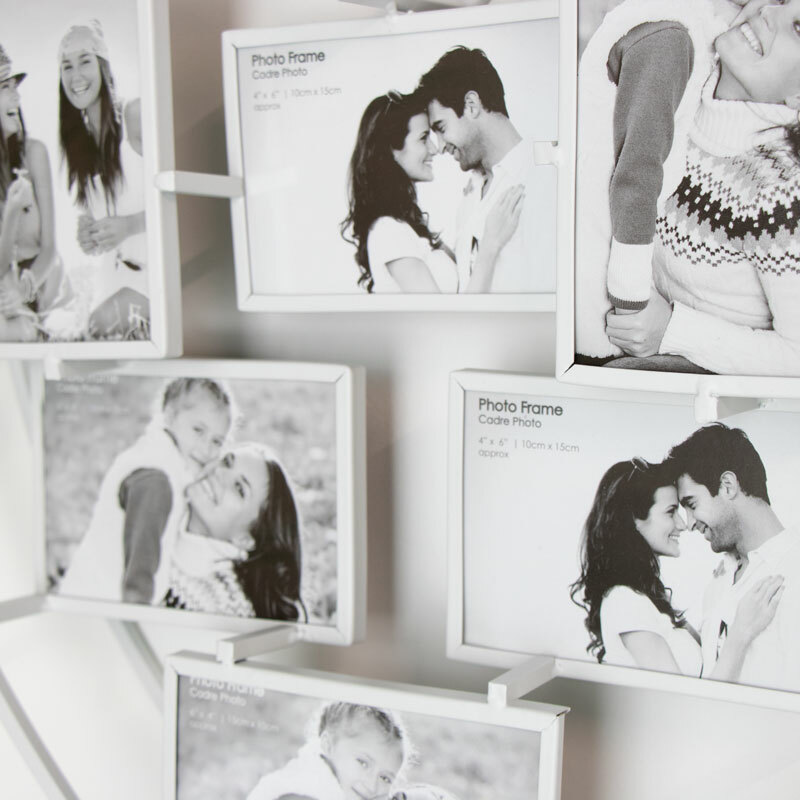 Wall mounted in a 3d wire shaped design, the frame features 6 frames for displaying precious photographs. This make the perfect wedding gift, display those happy memories and gift wrap for the happy couple. Cleverly constructed with wire metal frame that holds 6 photographs. Each frame will hold photo sizes 15cm x 10cm in landscape and portrait orientation. Easiy wall mounted with 2 holes onthe back for hanging on hooks or screws (not included).